Does GRiZ ever quit? These days, no. He doesn’t. Whether it’s touring around the country playing headlining shows, being featured as a main stage act at major music festivals, or releasing feel-good music for free download, GRiZ is simply killing it. I feel like a broken record talking about GRiZ with my friends or posting his work here on MMIBTY, but there’s simply no way around it. 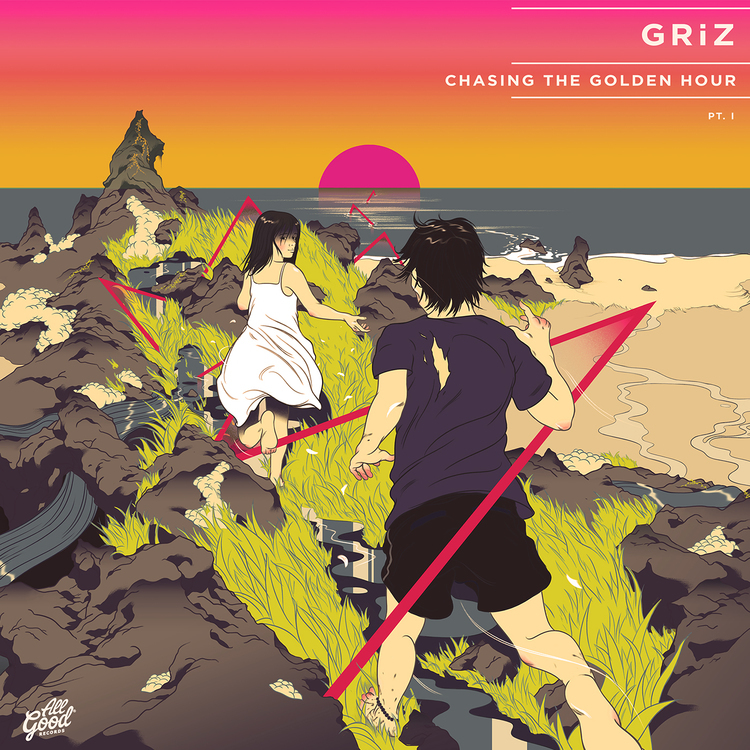 Two days ago GRiZ dropped a new album out of nowhere, a collection of nine tracks called Chasing The Golden Hour Pt. 1. It’s as good as ever and features that Electro-Soul we’ve come to know GRiZ for. The golden hour is my favorite time of day. The sun is beginning to set, but night isn’t quite there yet. The sun takes on a beautiful golden color and shadows begin to stretch longer. It’s time to finish up those last couple of beers on the beach, or to light up the grill to get dinner going. This music is the soundtrack to that. At this point GRiZ needs no introduction and the songs tend to speak for themselves. This album is fantastic and features guest work by guys like Russ Liquid, Muzzy Bearr, Exmag, and Eric Bloom. A couple of the tracks had already been released but now we get to enjoy the whole collection as part of a FREE DOWNLOAD AVAILABLE HERE. Boys and girls, it’s the unofficial end to Summer this Labor Day Weekend and whatever your plans are, make sure to turn this one up LOUD!